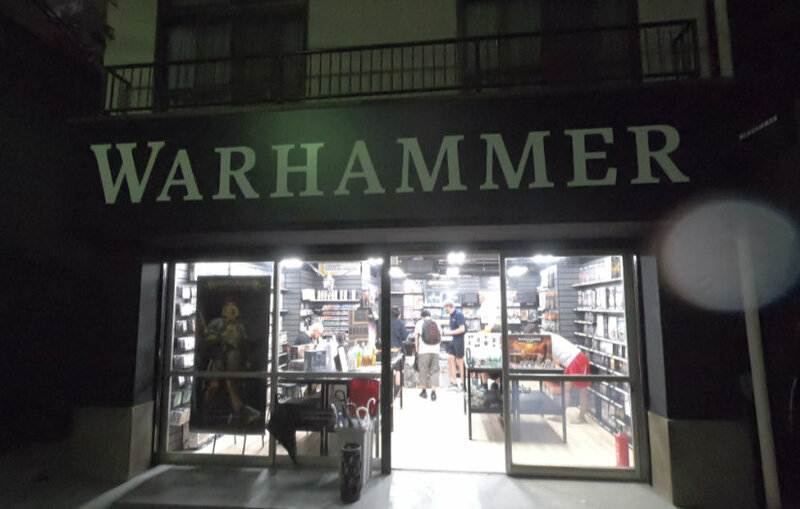 A new Warhammer store just opened up in Yokohama Chinatown! A short walk from the station, it’s a small shop with lots of warmth and a wide selection of GW products in both English and Japanese. 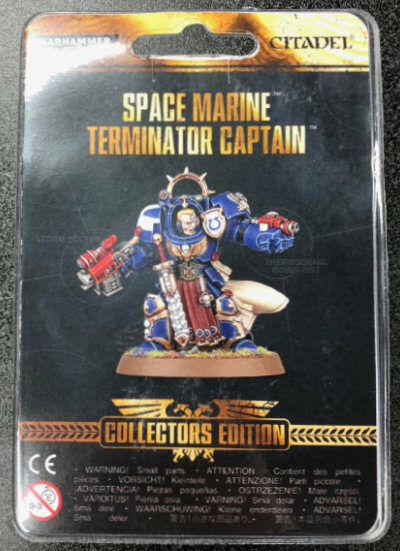 The limited edition Space Marine Terminator Captain is only available on the opening days September 15th and 16th! You still have a chance to pick one up Sunday the 16th! Limited to September 15th and 16th! I heard about the new store from Rigore‘s owner and stopped by on my way home. I showed up near closing, but the store was brightly lit and had a number of customers chatting. 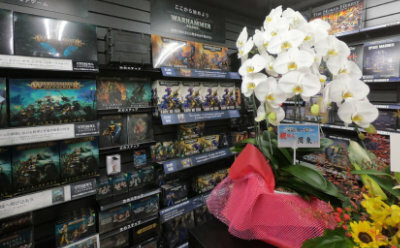 The owner Daniel used to work at the Harajuku Warhammer store before opening his own shop. 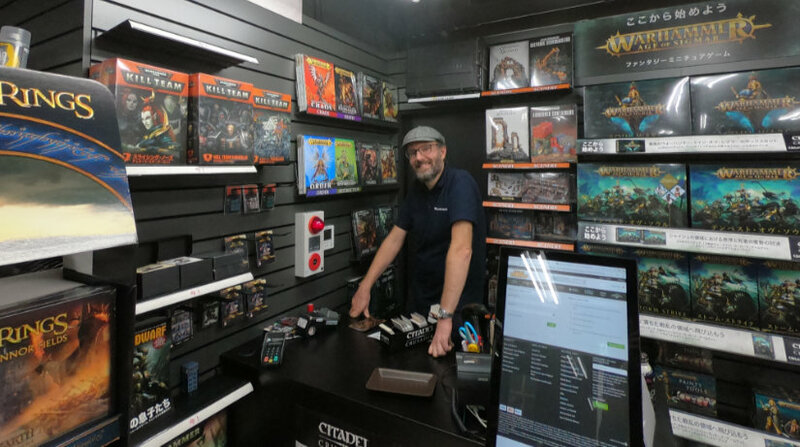 He said that 40K is most popular in Japan, but with the steady release of Japanese Age of Sigmar products, it’s starting to catch up. Shop owner Daniel behind the register. 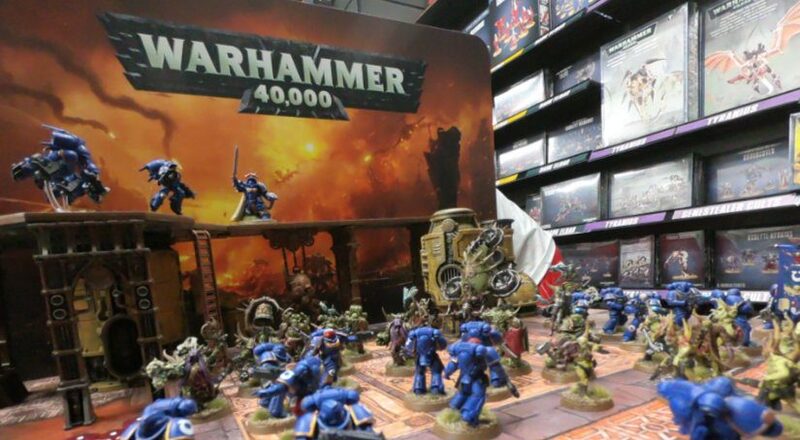 I played Warhammer 40k in the mid-nineties with my friends and thoroughly enjoyed it. Despite eventually drifting away from it, the 40K universe has continued to appeal to me. 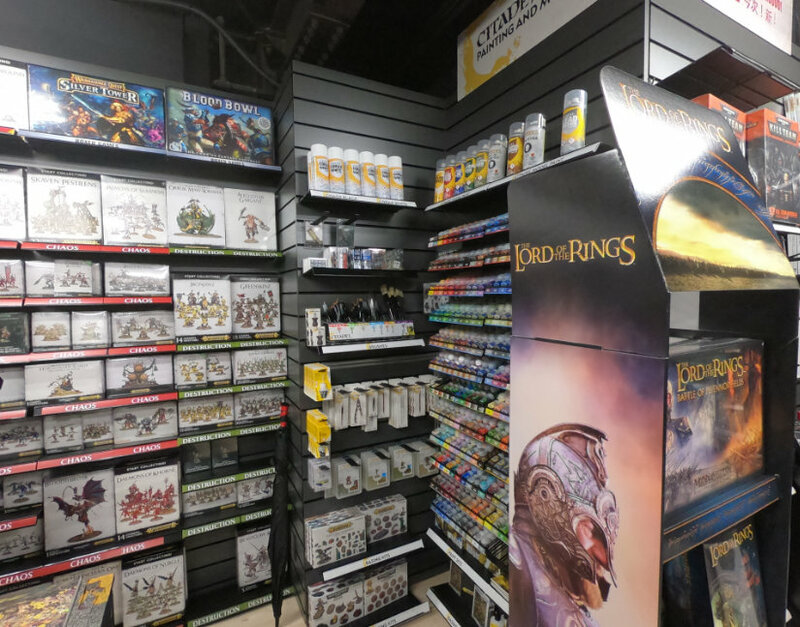 I’ve enjoyed painting miniatures, so with the opening of a nearby shop am mighty tempted to re-enter that world. The smaller skirmish games like Kill Team, Shadespire, and the remake of Necromunda are especially intriguing. It’s also nice to have a local shop stocking paints and supplies. I recently needed some paints and had to go to Tokyo to pick up some. Definitely looking forward to swinging by this friendly local gaming shop in the future.